Well hello there! It has been a while. I've been working on quite a few fun surprises that are coming up for you guys, but first: this little guy. 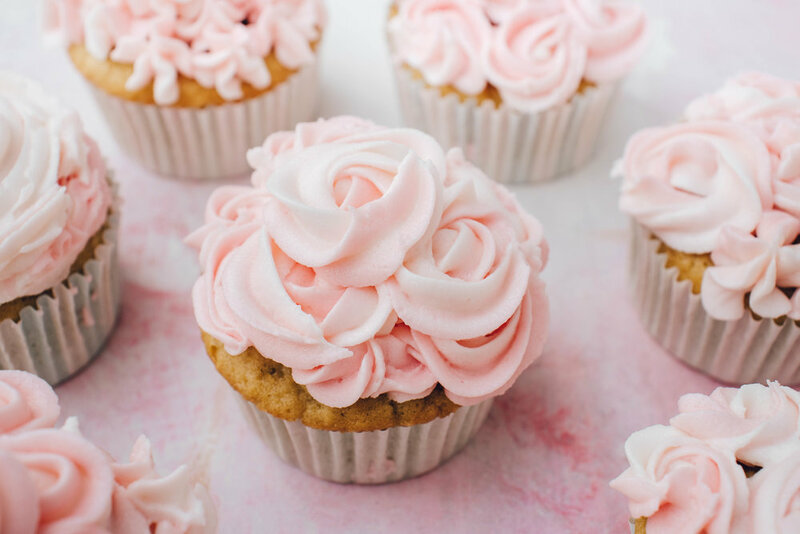 I've struggle with creating the perfect smooth vegan cupcake frosting for quite a while now, so I'm so happy to finally be able to share this recipe with you. It has taken up to 4 failures to make this recipe perfect enough to share with you. Please make sure to tag me on Instagram if you decide to try this recipe out, I'd love to see your beautiful creations! 1. Start off by preheating your oven to 200 degrees celsius. 2. Sift your flours in a mixing bowl, followed by your other dry ingredients (flour, sugar, baking soda, salt) in 1 mixing bowl. 3. Now pour all of you wet ingredients in that bowl, mix (by hand) when you've added all ingredients. 4. Mix until there are no clumps left, but make sure not to overmix (this will cause your cupcakes not to be as fluffy/not to rise properly). 5. Line your muffin tin with cupcake wrappers and fill until you've used up all your batter. 6. Pop your cupcakes in the oven for 20-25 minutes or until slightly golden brown on top and when your knife comes out clean. 7. While your cupcakes are in the oven, make your frosting by mixing your butter and shortening. Mix with a stand- or handmixer until the butter mixture is nice and fluffy. 8. Now add your powdered sugar bit by bit and add the milk when needed (no more than 3 tbsps). A little trick I use to avoid big powdered sugar clouds is to mix the sugar with the butter by hand before mixing it with an electric mixer. I just mix the sugar and butter until it's clumpy and there's no 'plain' sugar left. Hope that helps! 9. Allow your cupcakes to cool off completely (on a cooling rack) before decorating them with the frosting!